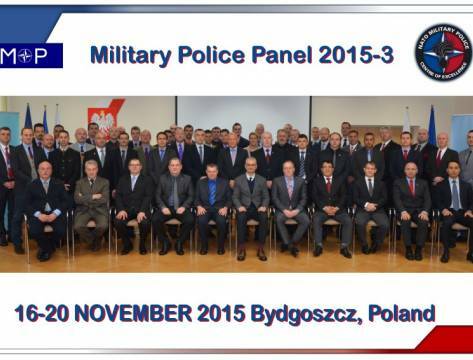 On 16 – 20 November 2015, the NATO Military Police Centre of Excellence hosted military police representatives from NATO and PfP countries, who gathered together and held debates at 3rd NATO Military Police Panel. 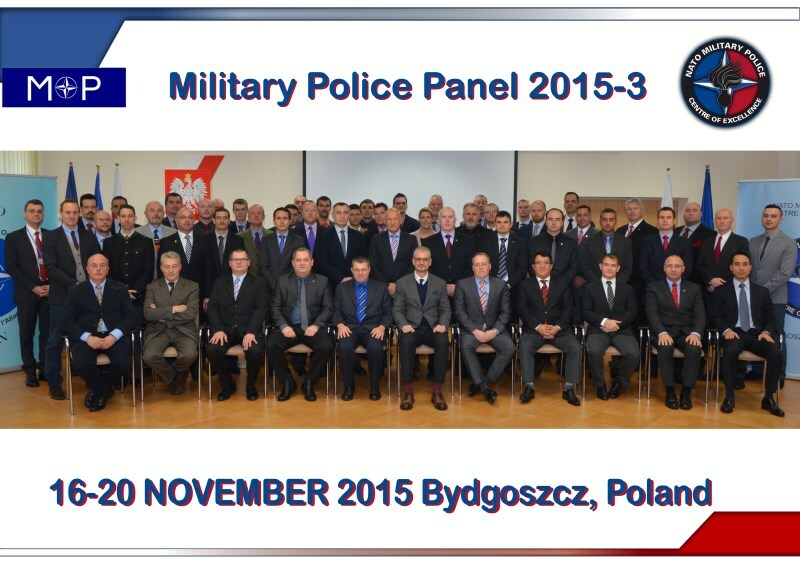 The NATO Military Police Panel (NATO MPP) was attended by 57 participants representing 19 NATO and 4 PfP countries. 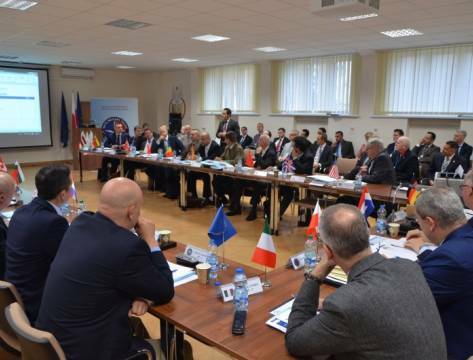 Delegates of 4 NATO commands, Doctrine and Training Centre of the Polish Armed Forces, and 2 NATO centres of excellence (COE), namely the NATO Stability Policing COE (SP COE) and NATO Military Police COE (MP COE) also took part in the meeting. 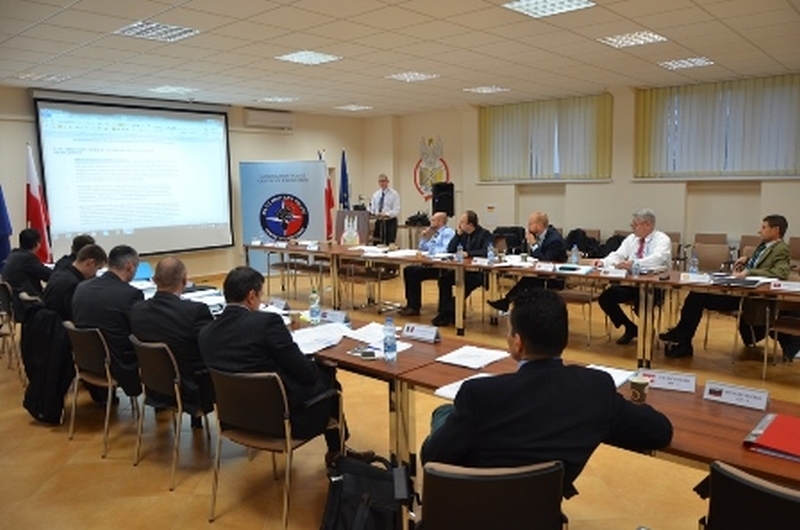 During the plenary session, a number of presentations concerning, inter alia, outcomes of this year’s MP Chief Conference, ACO Provost Marshal and ACT MP SME activities reports, as well as updates of the NATO MP and SP COEs were provided accordingly by the NATO Command Structures’ representatives and COEs’ Directors. 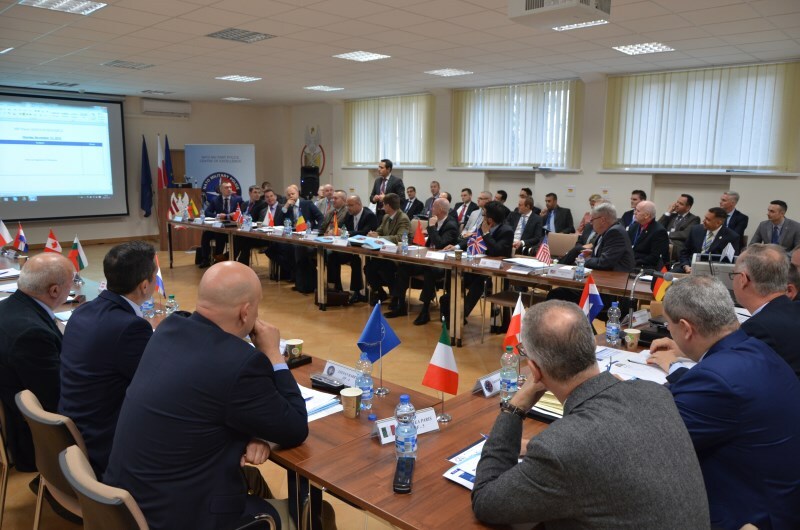 Furthermore, Austrian, British and Irish Panel Members introduced thorough details regarding their national MP roles and tasks. 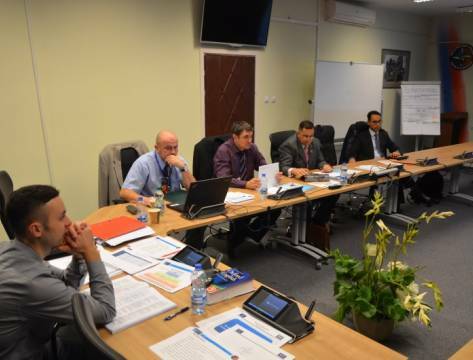 SP WT: presented 2016 schedule of works together with its Terms of Reference. 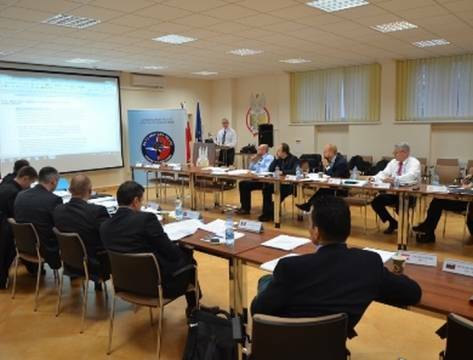 Elaboration of the NATO and PfP directive concerning the conduct of local police training in the area of operations was regarded as the prime goal. SP WT also agreed upon the necessity of establishing the Internet forum by the NATO SP COE which would be devoted to SP matters. 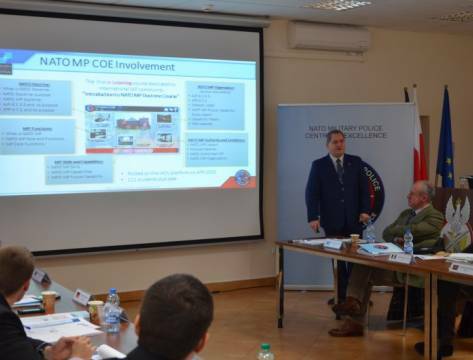 MP LL CT: developed and set up 2016 Plan of Work including parts requiring further analysis and application of remedial actions that had been identified as the most vital ones as far as MP are concerned. Finally, methodology of future works was determined. 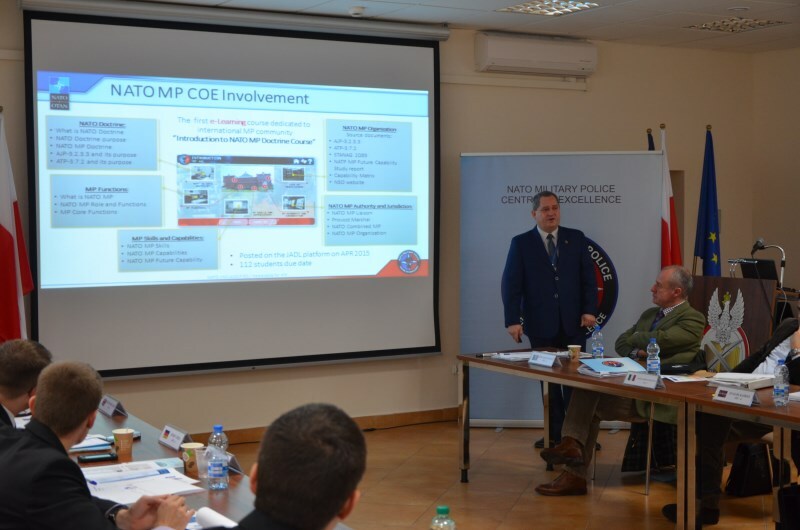 Last but not least, the agenda for upcoming conferences, gatherings, courses and workshops (including NATO MP and SP COEs’ endeavours), organised or supported by MP in 2016, was deconflicted. 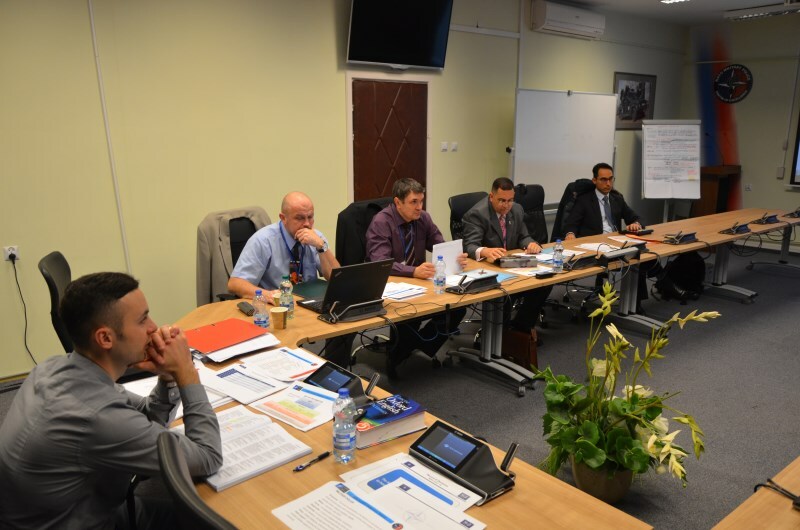 The subsequent NATO MPP is to take place in Sofia (Bulgaria) on 14 -19 February, 2016.